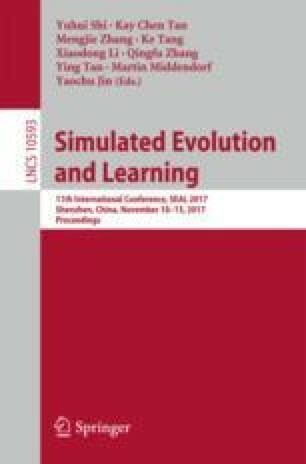 This paper investigates the real-time application of multi-objective evolutionary algorithm (MOEA) for managing traffic at an intersection with its focus on autonomous vehicles. Most of the existing works on intersection management emphasize using MOEAs to optimize parameters for traffic-light based intersections, or they target human drivers. However, the advent of autonomous vehicles has changed the field of intersection management. To maximize the use of autonomous vehicles, the intersections should be autonomous also. This paper proposes an autonomous intersection management (AIM) system that controls the speed for each vehicle approaching at an intersection by using MOEA. The proposed system first looks at splitting the continuous problem of intersection management into smaller independent scenarios. Then it utilizes the MOEA to find solutions for each scenario by optimizing multiple objectives with different goals in terms of overall performance. In order to give the MOEA low level control of traffic at intersections, the autonomous vehicles are modelled as travelling along a predefined path, with a speed determined by the MOEA.